These Cradles are designed and hand crafted. 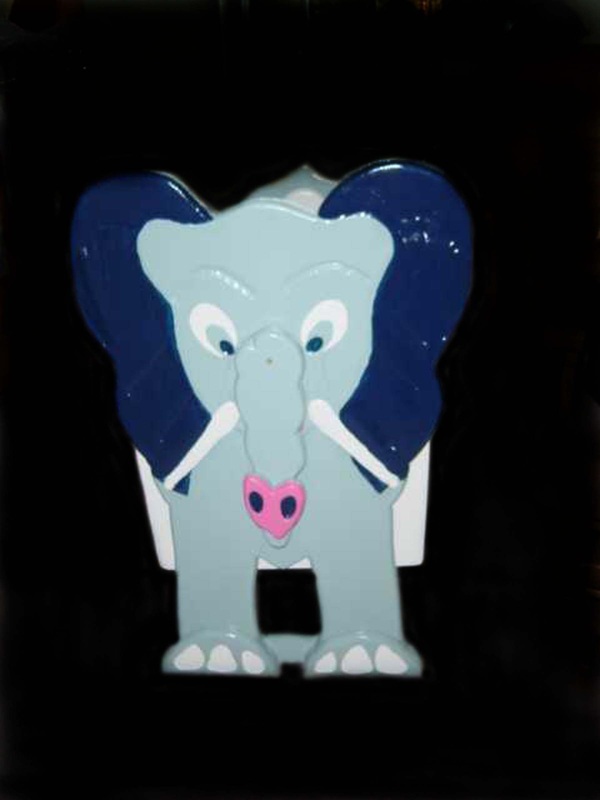 Right now I have 2 designs (hippopotamus and elephant). I can design new Characters upon request (add one week for new designs). The cradles are constructed with Poplar wood. The cradles can be locked so they do not swing. 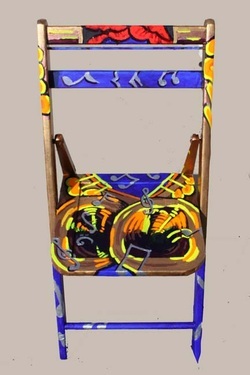 The Cradles are crafted with safety bars so that they cannot swing too far. Protecting the infant from over enthusiastic siblings. Paints used are all no VOC paints. 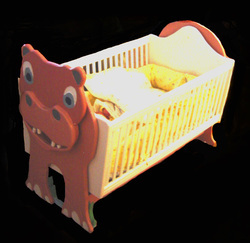 Cradles should not be used once infants start to move, and definitely never used once a infant stands. Do not rock infant to fast or slam against safety bar. 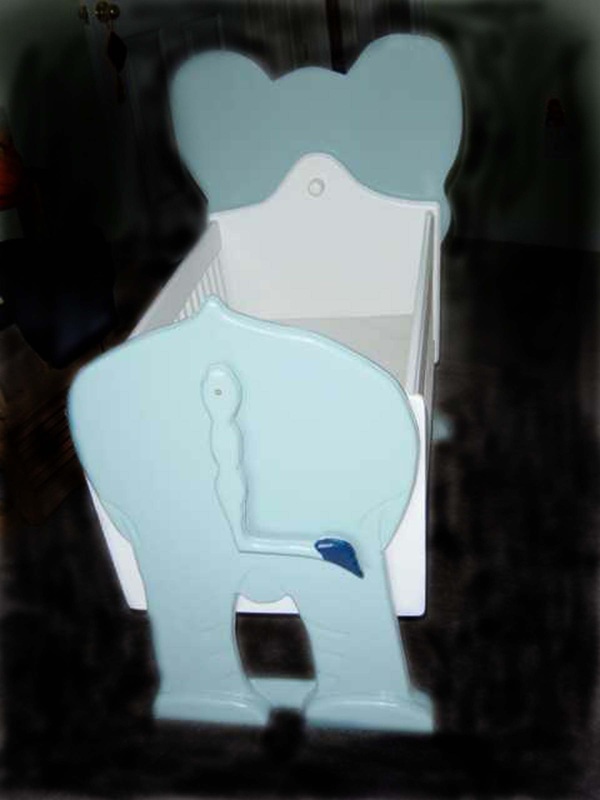 Lock Cradle so cannot swing if not in room with infant. 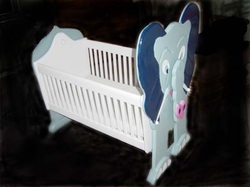 Use cradle bumpers inside cradle bed. 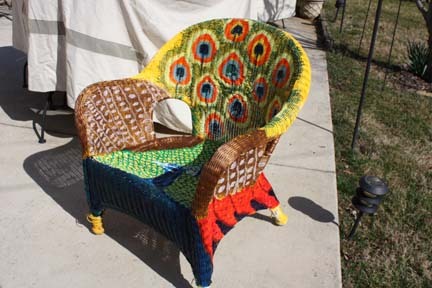 This chair was rescued, repaired, and hand painted in Acrylic then coated with outdoor polyurethane to preserve the colors and protect from the weather.